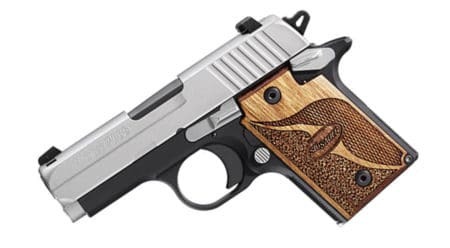 Sig Sauer P238 [Review 2019] - Is This Handgun Worth The Money? Buying a new gun is always a tricky task. Even if you’re a seasoned veteran, you always wonder whether your investment will pay off in the long run. As time goes by, the design evolves as well. A good gun from the early 2000s may not be that good in 2019. At the same time, a good gun from 2019 may become completely obsolete by the mid-2020s. So, if you think about long-term solutions, you really need to have this thing in mind. At the same time, even though we have plenty of information available on the internet, it’s still very hard to find a good gun. They all look nice and shiny, and they all come with similar features as well. Yet, there is an obvious difference between a functional gun and a non-functional gun. The price can often be misleading as well. You can pay a whole fortune for your dreamlike pistol, but there’s no guarantee that you’ll be satisfied with your purchase. So, how should we find a gun that will please everyone? Well, the answer to that question is very simple. There’s no such thing as a “universal gun.” Even a top-rated gun may turn out to be a complete disappointment for some people. On the other hand, a lower-rated gun may actually be a pleasant surprise. 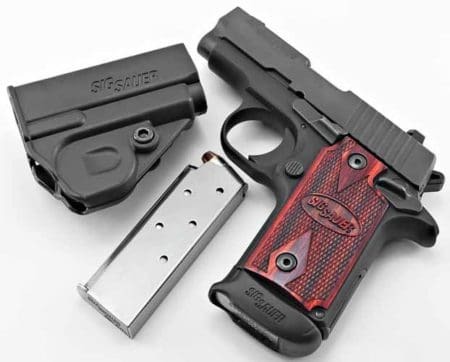 Sig P238 is a gun that stands out. 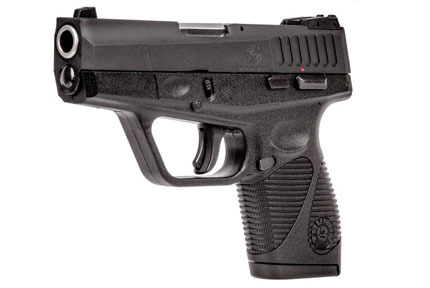 It’s an awesome pistol that can satisfy both newcomers and experienced gun enthusiasts. 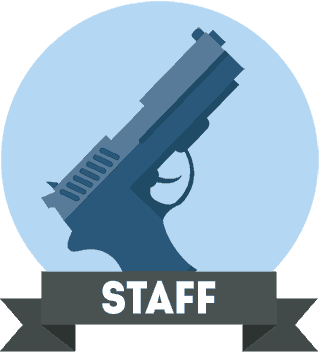 It’s a gun that we can proudly recommend even if you’ve never held a pistol before. Is it perfect? Not at all. But is it worth the price and is it functional enough? Absolutely. Before we start digging in and before we go into details about this wonderful gun, let’s take a closer look at Sig Sauer first. This time, the Sig Sauer P238 rather than the P250 that we reviewed earlier. 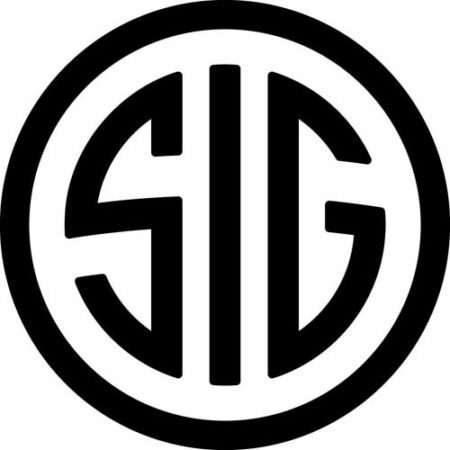 Sig Sauer is one of the greatest firearms manufacturers in the world. They needed a lot of time to become what they are now, but the road has been safe and stable from the very beginning. The great thing about Sig Sauer is that their products are equally enjoyed by everyone, regardless of the financial situation. There is an obvious reason why many military units rely on Sig Sauer as well. These people sure know how to make a good product. The design of their guns is top-notch, and so is the functionality. They aren’t the cheapest guns that you can find, but you can rest assured that you will always get what you pay for. So, from a consumer’s perspective, it’s surely a fair deal. The most important thing that makes Sig Sauer such a big player in this market is the fact that they’re able to provide consistent quality. Many other companies had significant issues here, and the quality would often drop as time went by. That’s not the case here. No matter if we talk about P238 or any other gun made by Sig Sauer, the quality is equal and unique. That’s exactly the bottom line here. Now that we’re familiar with the key concepts of Sig Sauer’s products, let’s see what P238 has to offer. 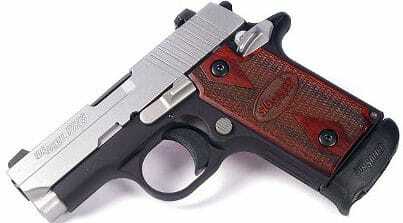 P238 is a very reliable pistol that is fairly small, on the one hand, but very powerful on the other. You may notice that there is an ongoing trend of making the guns smaller. They are also getting more functionality at the same time as well. Technically speaking, P238 is a pioneer in that regard. If you ever loved the iconic 1911, you will absolutely fall in love with P238 as well. Basically, P238 is “1911 mini”. But, is it a good idea to “copy” the legendary gun this way? You will find out in the lines below. The safety is the first and the most important thing to consider before you decide to buy a particular gun. If your gun is not safe enough, you shouldn’t even consider the purchase. Everyone knows that pistols are not toys to play with and the least we can expect is that they’re safe enough to ensure that there’s no risk that we might injure ourselves and/or our loved ones. 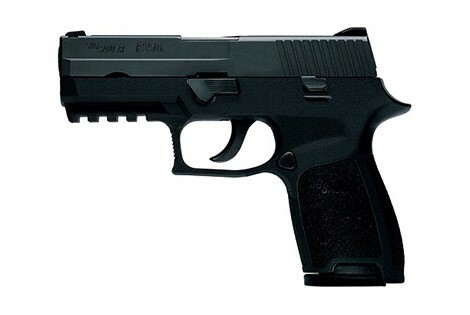 The safety of P238 is pretty good, and Sig did everything to eliminate any risk that might cause potential injuries. The gun has a number of different safety mechanisms that will protect both the holder and the environment. 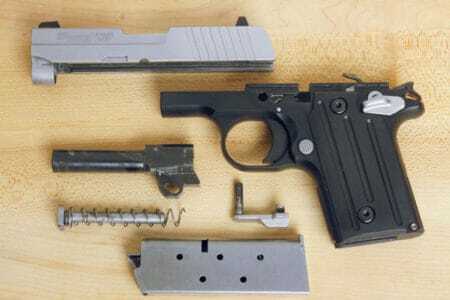 Those mechanisms include the hammer safety, firing pin safety block, and even a disconnector that will keep it from firing on its own if the slide isn’t locked properly. We also have a manual safety as well. As long as you follow the basic guidelines and as you long as you handle the gun properly, there will be no risk of injury whatsoever. Let’s face it – many pocket pistols are extremely finicky. It’s very hard to find an exception to this cause. That also raises many concerns, and it’s natural to ask yourself how reliable these pistols really are. However, believe it or not, P238 is much less finicky than one would expect. 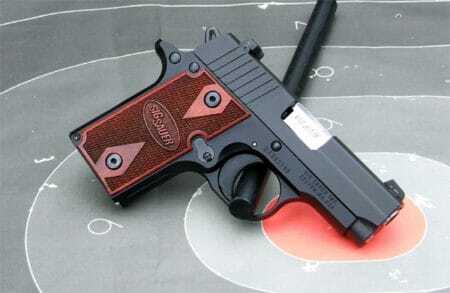 As the basic purpose of having such a miniature pistol is self-protection, you can rest assured that you can always rely on your P238 in case of an emergency. The weight is a feature that many companies struggle with. Some pocket pistols are much heavier than they should be, and on the other hand, some regular handguns aren’t as heavy as one might expect. In the case of P238, the weight feels just about right. Even though the pistol is almost entirely made of metal, it’s very lightweight and easy to carry. You can also easily put it in any of your pockets as well. On top of being lightweight, the pistol provides an outstanding comfort as well. There’s no better feeling than having a pistol that is not only functional but also a blast to carry too. You may find that the starter kit is not that great. To be honest, that’s what I feel as well. 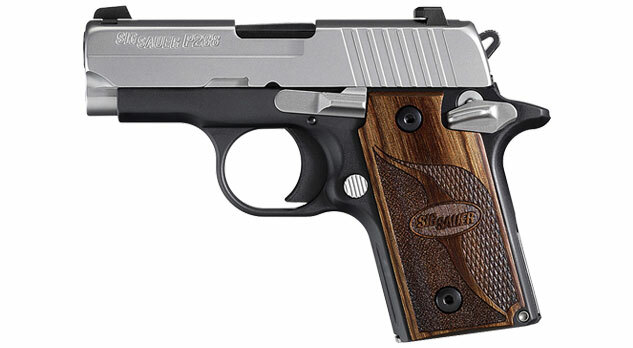 P238 is not one of the most expensive pistols on the market, but it’s not very cheap either. For this price, you should definitely get more from your starting kit. The basic kit includes one six-round magazine, a plastic case, and a laser sight. And that’s it. It will probably be enough in the beginning but not in the long run. You can easily pull this gun apart, but you might have issues if you’re not experienced with this. In general, the pistol breaks down almost completely identically to 1911. As this is technically a replica of that gun, it’s not that surprising. In order to pull it apart properly, you need to move the slide back until you see that the indentations are lined up. Then you need to pull out the release lever and push the slide forward. Once that is done, all you need to do is to pull out both the spring and the barrel as well in order to make your pistol fully disassembled. The tricky part here is that you need to be very careful when you reassemble your gun as you might damage the ejector (or even destroy it completely). You need to make sure that you’ve pushed the ejector all the way down to make the slide roll back onto the frame. As long as you have that in mind, the whole process is easy as pie. As this is a pocket pistol, there’s not much to clean. Hence the maintenance is very straightforward. The two critical areas that you need to pay attention to are the barrel and the hammer area. As long as you disassemble your gun carefully (and according to the instructions that we provided above) and as long as you watch out not to damage the ejector, the cleaning will be swift and extremely effective at the same time. Unlike the classic handguns, there’s not a whole lot to upgrade here. 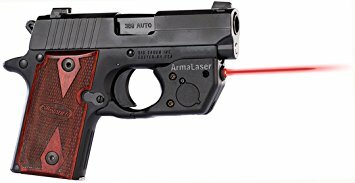 You might want to buy a new laser sight at some point but, be wary – they are extremely expensive. The same can be said for the magazines as well. Luckily, the default sight is good enough so you won’t be urged to replace it (unless you really want to). But, you might want to purchase at least one additional magazine as I feel that a single one that you are getting in the starter kit is barely enough (in the long run, that is). You can also remove the grips and get some alternative ones if you wish. They are not as pricey as sights and magazines. In general, Sig P238 is a gun that is absolutely worth every penny. It does have its drawbacks, but it comes with exceptional functionality, and it’s a great choice for both gun veterans and newcomers alike. Thanks to its exceptional quality, you can be sure that this is not a gun that will serve you temporarily. It’s a gun that could very well be a life-long investment. If you prefer big pistols and/or more advanced pistols, you may not be that satisfied. But, if that’s not an issue, we can only conclude that you should give this gun a try. The impressive Sig Sauer P238 impresses in many areas and is considered one of the best handguns out there for beginners.